Owning a home can be great for people most of the time, but there are moments when it can just drain you with stress. This is especially true once the time for general house cleaning comes along where you have to check every room, every corner, every surface, and every angle for dust and dirt that have formed over time. Probably the most difficult item to clean though is the carpet. Most of the things you should be doing seem counterintuitive. So, it’s important to know the dos and don’ts of cleaning your carpet. Lots of people think that the more you clean things, the better it is. Though cleanliness is important in every home, repeatedly brushing your carpet may eventually damage it. 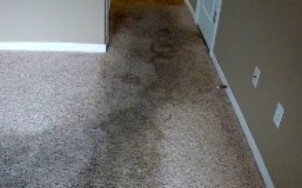 Usually, people scrub their carpets to clean it and the friction actually thins the carpet out. So, the more you scrub, the thinner it becomes, and the easier it gets destroyed. While staying calm is almost always the best thing to do after witnessing accidents, spilling drinks like coffee on your carpet requires immediate attention and action. The longer you leave the stain there, the more chances of it drying up and being absorbed by the material. Actually, you cleaning your carpet by rubbing it is a problem. While we were raised to believe that rubbing will get stains and dirt off anything, that’s actually what causes stains to spread. It’s more advisable to blot out stains with stain removal products than to rub them. Probably one of the biggest mistakes made by people when trying to clean their carpet is using the wrong product. They don’t even test the products out in one area of the rug before proceeding to pour it into a huge portion of the carpet. Strong chemicals may cause damage to your carpet. So, it’s important that you check for compatibility first. People also try using deodorizers to clean carpets and soon find out that they could’ve saved more money and time if they had used something specifically made for cleaning their carpets. These are just some of the common mistakes made by people who try to clean their products on their own. If you’re unsure of what you’re doing, it can also be a bad move not to get yourself carpet cleaning services. While these tips may be helpful, it’s still the best option to let the experts handle it for you.